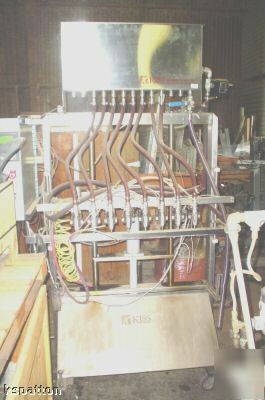 KISS 8 Head Inline Bottle Filler Expandable up to 12 heads. 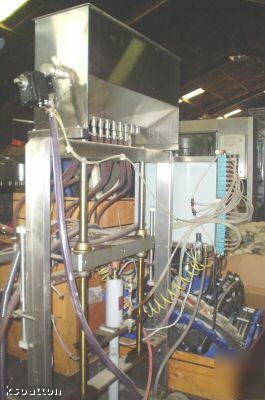 Adjustable Valve centers, adjustable height, product fill level control. 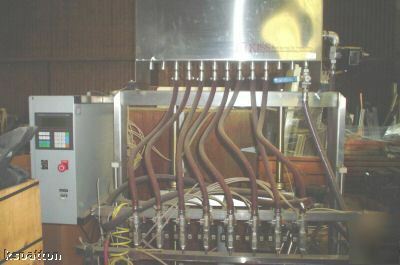 Pnuematic and Electrical Controls with digital readout display. 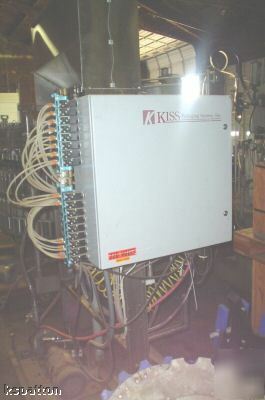 Stainless Steel Product Bowl with Level Control. Frame construction has casters for easy mobility. Electrical Specifications : 220 Volt.